Forage Sorghums should be harvested at the mid dough stage for ensiling. At this point, quality is still good and most types have dried down enough for ensiling. 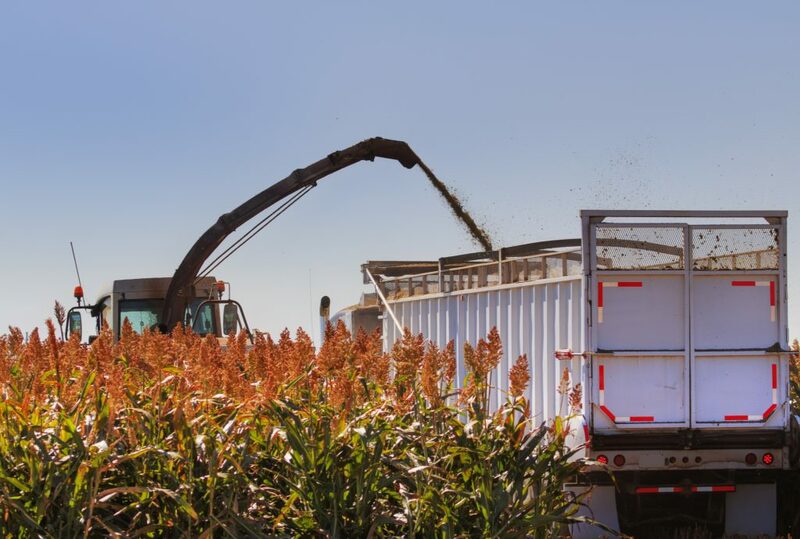 Highest yields are obtained when sudangrass and sorghum-sudangrass hybrids are harvested at the soft-dough stage. However, curing is difficult and quality is low when harvested this late. The general recommendation is to harvest either type for hay whenever forage is about 30 inches tall. Sorghum-sudangrass hybrids are generally more difficult to make hay because of the larger stems. Crop should be cut 6 inches above the ground to encourage re-growth and two cuttings may be expected. Sudangrass and sorghum-sudangrass hybrids can be used to provide green chopped forage over summer. Begin chopping after the plant is 18 inches tall or cut at least 10 days after a killing frost to avoid prussic acid concerns. First cutting should be taken prior to heading. Sudangrass and sorghum sudangrass hybrids can be grazed any time after the plant has reached a height of 18 inches, which is usually 5 to 6 weeks after planting. For best results, it should be grazed rotationally with a sufficiently heavy stocking rate to remove forage down to a 6- to 8-inch height in a few days. The pasture will grow rapidly when the cattle are removed for more total tonnage.